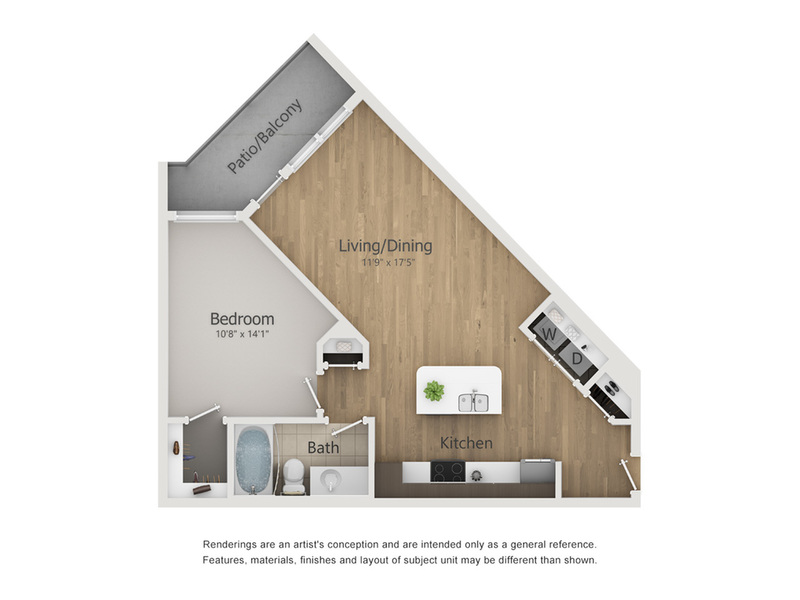 With 673 square feet for living, the Esquire 2 unit has plenty of space for you and two furry friends. This one-bedroom, one-bathroom unit boasts an open-concept floor plan with high ceilings, stained concrete floors and balconies. Housed in a historic movie theater complex from the 1940’s, you have a perfect mix of vintage style and modern amenities. With our flexible pet policy and community atmosphere, the Melrose Apartments are a great place to call home. What’s Nashville without music? Well, here at the Melrose Apartments we have a music performance space and movie screening lounge for our residents to use. Our clubroom with a demonstration kitchen makes entertaining large groups of friends easy and fun. The onsite management team can field any challenges that might arise, and with 24-hour emergency maintenance you’re always taken care of. Located in the historic neighborhood of Melrose, your one-bedroom apartment is only steps away from great eateries, shopping, spas and salons, so there is no need to go far to find what you need. Pair that with our proximity to the 440 Parkway and I-85 the rest of Nashville is close at hand, so you never have to travel far. Vanderbilt University is less than 3 miles door to door, making this the perfect location for students, faculty, or Commodores fans. Your new home is waiting for you. Call (615) 696-7448 now to tour the Esquire 2 luxury one-bedroom apartment, or simply click here to apply.